des Betrachters fliehen zu wollen. Der Blick geht mit der Raketenbewegung mit, wird nahezu in das Video hineingesogen und hängt an der mantra-ähnlichen Wiederholung des Loops fest. 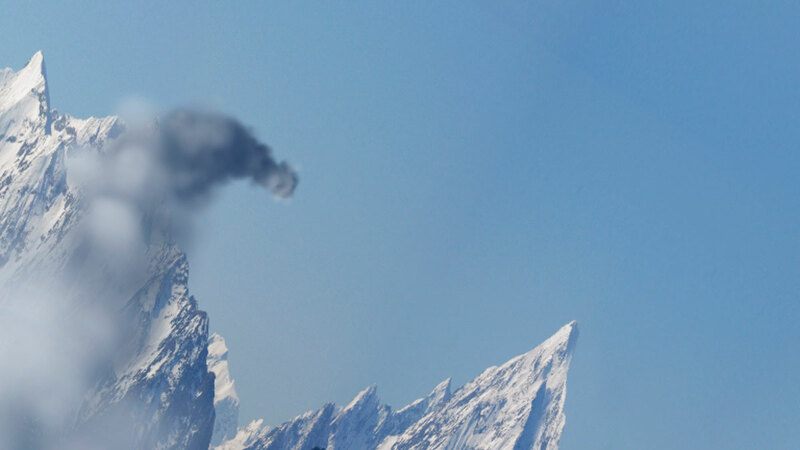 A fuming object is pursued as it flies through a mountain landscape. 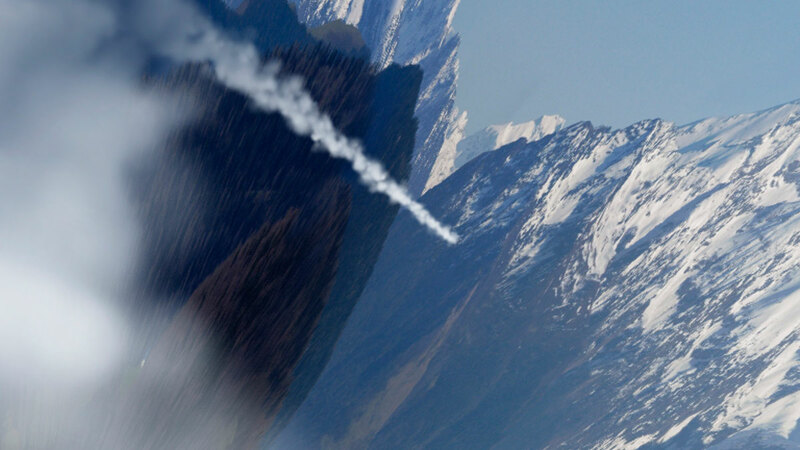 The sight of an approaching rocket is usually regarded as threatening. Here the situation is reversed: the object flies away from the viewer as if it is trying to escape his/her attention. 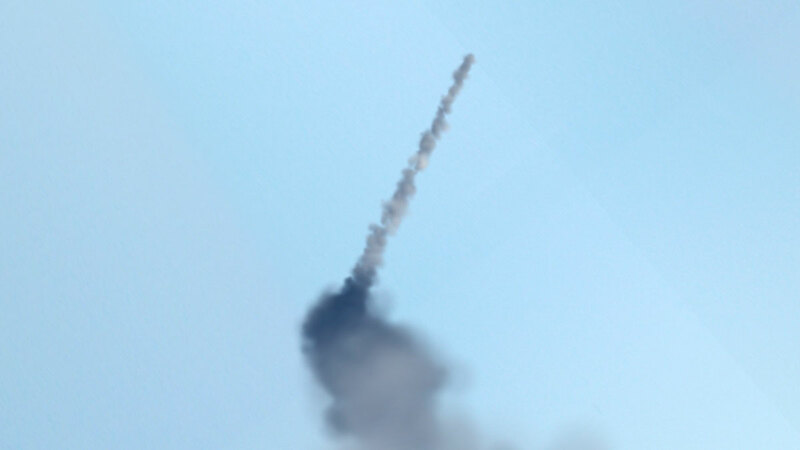 The gaze follows the flight of the rocket, is virtually sucked into the video and gets caught by the mantra-like loop.